This project involved multiple custom integrations that included allowing their internal software to speak with the website so that users could adopt pets only moments after the intake process. The project is a huge success for The Oregon Humane Society. 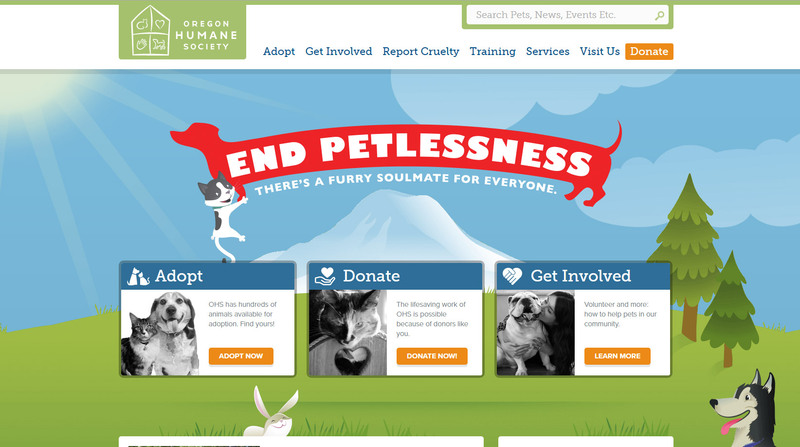 This responsive custom website surpassed 25 million visitors in 18 months and helped the Oregon Humane Society reach their goal of adopting 11,000 animals a year.